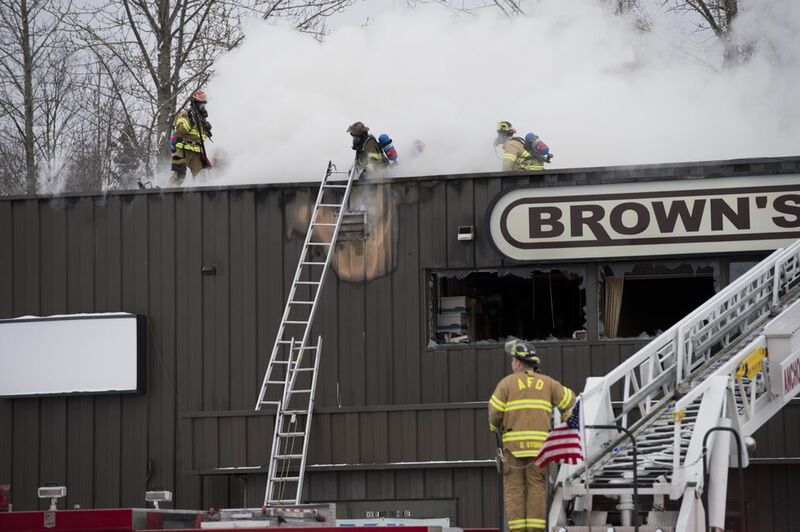 Two people were injured Monday afternoon in a fire at the two-story Brown’s Electric building in Anchorage, a fire official said. 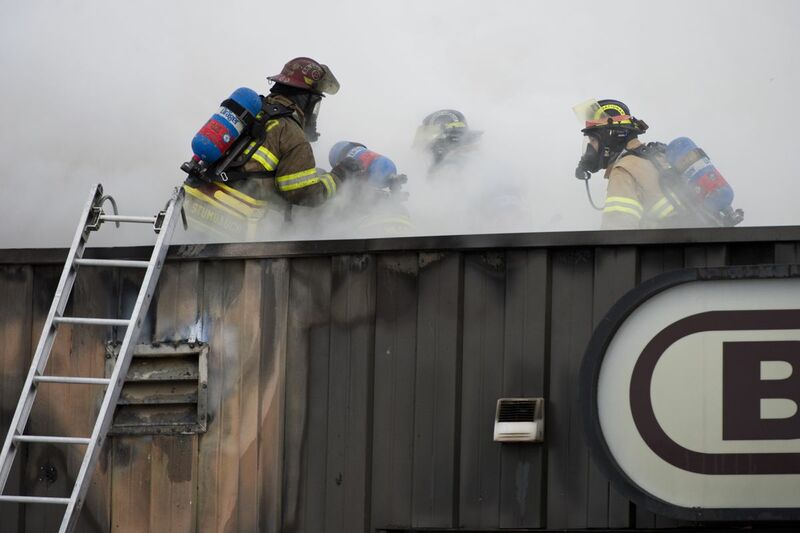 The Anchorage Fire Department received its first call about the fire, at the business’s building at Old Seward Highway and 76th Avenue, at 1:51 p.m.
“The caller reported smoke and flame coming out of the second floor,” said Cleo Hill, Anchorage fire marshal. Nineteen vehicles responded. 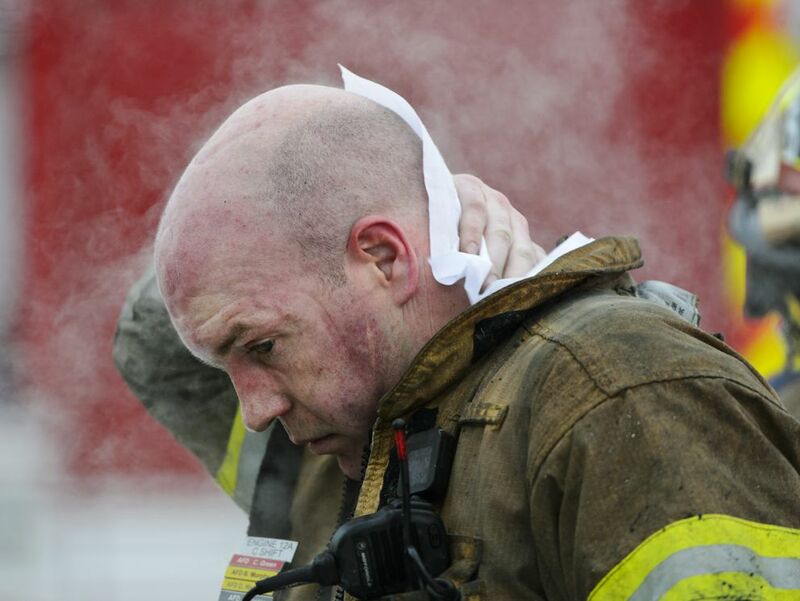 Crews put out the fire in less than an hour, at 2:45 p.m.
“We transported two patients to a local hospital,” Hill said. She could not discuss the nature of the injuries or provide details about the victims because of medical privacy laws, she said. Hill said the Brown’s Electric business occupies the ground floor of the building and rents out the second floor for other use. The damage from the fire appears limited to the second floor, Hill said. Other high-profile fires in Anchorage recently included the former Sea Galley restaurant on Jan. 3. On Saturday, a building under construction that was going to be a 141-room Courtyard by Marriott burned on A Street between Tudor Road and International Airport Road. Both buildings have been described as total losses. The three fires appear to have no connection, said Hill. It is early in the investigation for the hotel, and the investigation into the Brown’s Electric fire has not begun yet, Hill said Monday afternoon. “At this point, as far as we know, it appears (the three fires are) independent," she said.